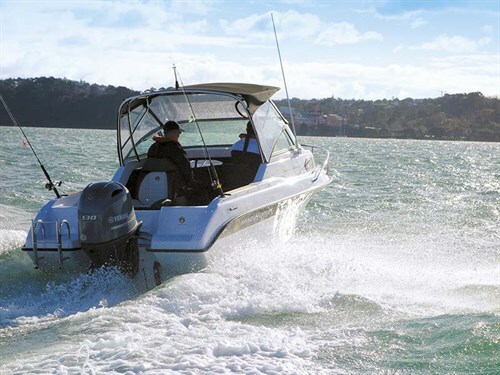 Built in Auckland, the legendary Haines Hunter boats are more than just fishing boat platforms. The new multipurpose Haines Hunter SF545 (sport Fisherman) is a case in point. If you’ve spent a bit of time around boats and boaties, you will have heard a lot of bull talked. I’ve heard many a tale, but learned to take them all with a grain of salt. I crewed for one garrulous skipper who always started the day with a huge mug of half milk, half Bundy, and then kept ‘em coming. It made for interesting calls later in the day, roared in indecipherable Swahili, and even wilder stories back at the clubhouse. But some stories from the water become legend, and are repeated so often they become accepted as fact. For years I have heard people talking up the Haines Hunter boat hull for its soft ride, handling and sea-keeping qualities. 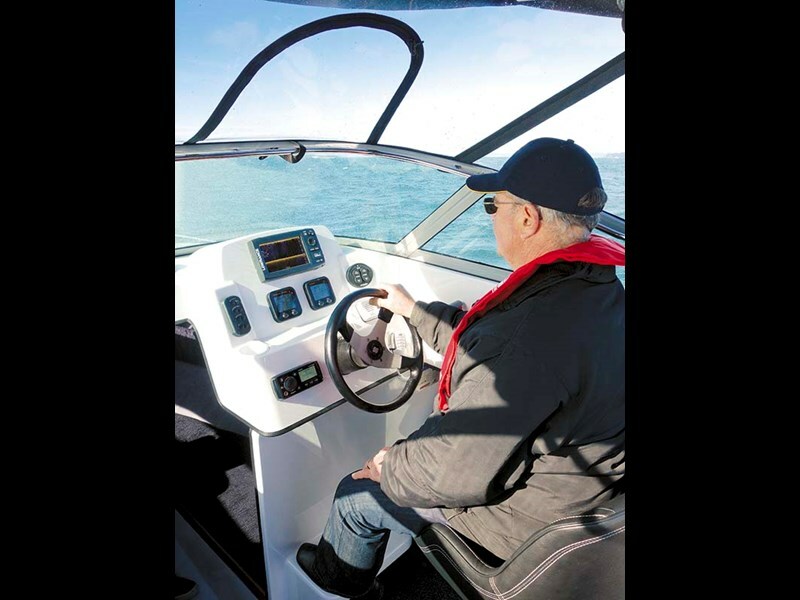 Now I’ve spent a bit of time at the helm of boats in the popular 5-7m range, so I was especially keen to get aboard Lionel Sands’ latest offering from Haines Hunter, the 545 Sport Fisherman. Let’s see if that old six word marketing statement still true: "The secret is in the ride." Waiting for a break in the winter gales, I hit the Ellerslie factory where Haines Hunter boats are built. 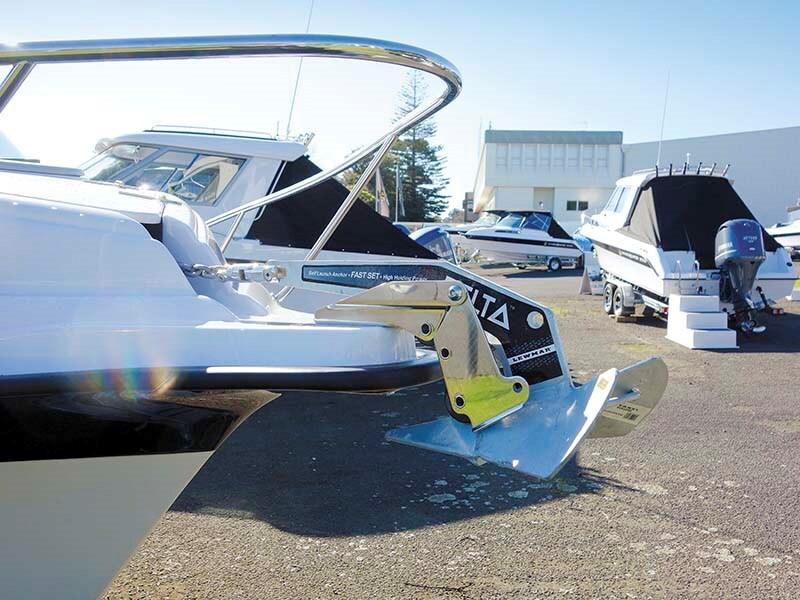 Haines Hunter hulls are not mass-produced pressings designed to fit inside shipping containers, but instead, are successful NZ designs, honed during 70 years of boatbuilding and experiential customer feedback. Hulls are handlaid, with multi-layered, chopped strand fibreglass and woven rovings. Stringers and thwarts are fully enclosed and the resins hand-pressed, resulting in hulls with a strong 50:50 mix of resin to glass. This traditional work practice is great to see in the modern automated world where accountants often speak louder than craftsmen. 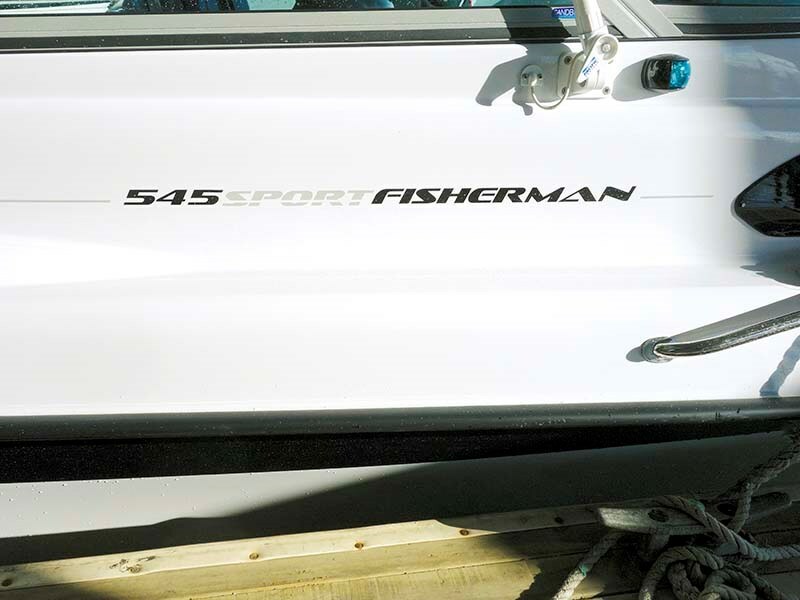 First impressions of the 545 Sport Fisherman sitting on the single axle DMW trailer in the yard were favourable. 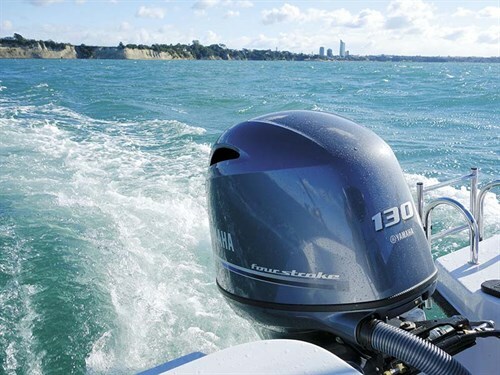 Looking smart in the standard livery with clean lines, a gleaming new Yamaha F130A outboard motor lurking off the transom seemingly glowed with anticipation. According to Bob Mirabito, sales manager at Miller Moyes: "Five metres is the biggest volume seller in the country, because of its convenience." So the Haines Haines 545 Sport Fisherman has been designed from this uber-competitive 5m market. 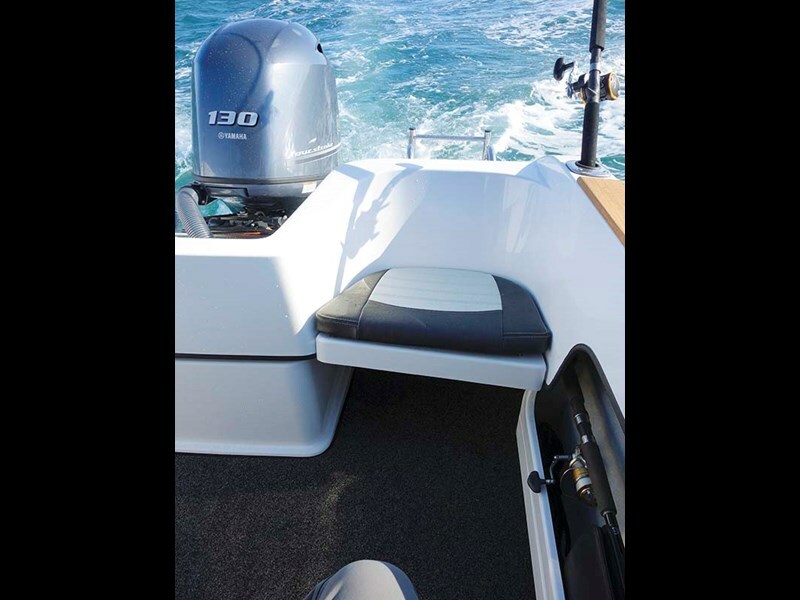 Big enough for six people, but small enough to handle solo, this is both a capable, easy-clean fishing weapon, and a comfortable day cruiser for the family. With the new Yamaha 130hp four-stroke outboard providing taut and powerful thrust, it is an excellent platform for watertoys, too. Most importantly, this is a boat that is going to get a lot of use, due to its convenience, and ability on the water. 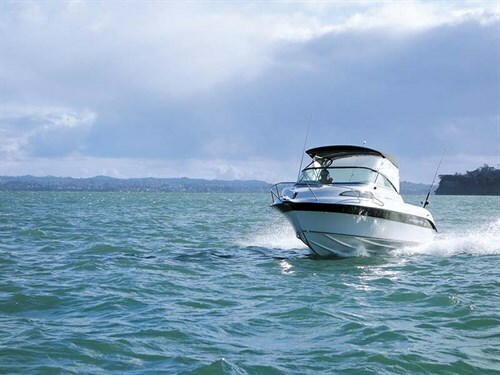 Clever design means the Haines Haines 545 Sport Fisherman can be towed by any modern sedan, can fit in a garage by dropping the bimini (if fitted), and has a single axle trailer for maneuverability. She’s roomy enough to handle four mates fishing side by side, or will accommodate a family and their toys. She’ll also get you out and home again in all weathers – with two buoyancy chambers in the hull, the Haines is virtually unsinkable, unless broken in half. Out on the water for test day, the weather was fair, with 15kt winds and sloppy harbour chop handled with consummate ease by the 545. 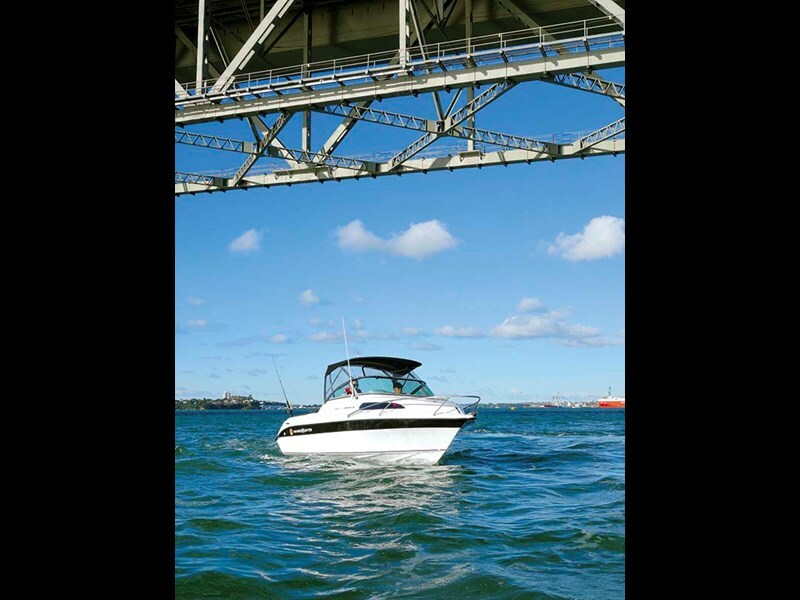 The Waitemata Harbour offers plenty of sheltered water, but also boasts upper harbour fishing grounds. Even on a blustery, cold July day the waterway makes your spirit soar. On board were Mark Taiatini from Yamaha, Bob from Miller Moyes and myself, dressed like a yeti. The hull is a trifle tender at rest, as any boat with a deep-vee hull will be, but still felt secure. Under power it proved to be precise and accurate, and delivered the sort of stable ride one can expect from a 21° deadrise. 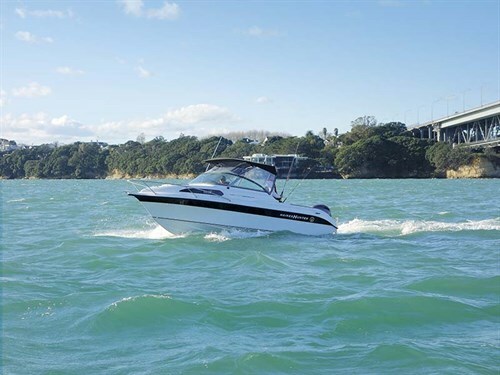 It ate up the chop and bounce, as we headed out past Rangitoto and put it through its paces. 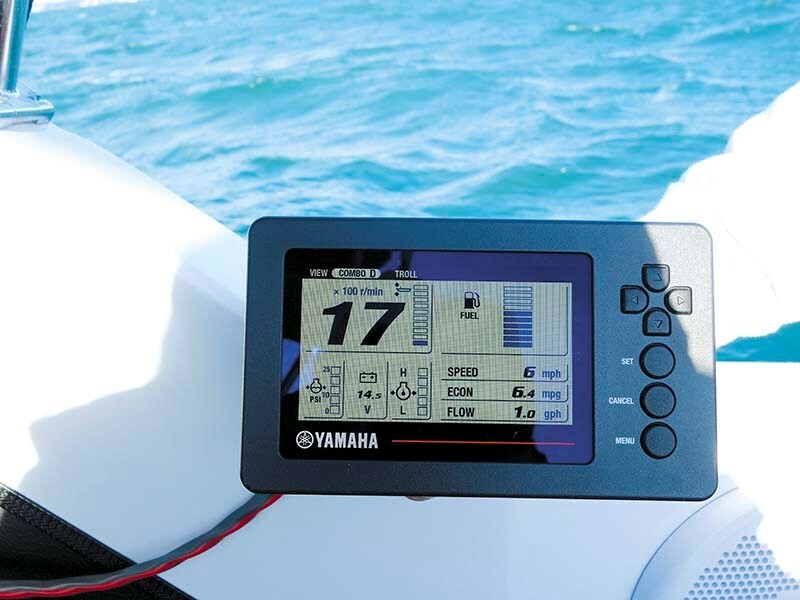 She was calm and quick in the turns and responded to the helm very precisely, with the fabulous Yamaha F130A delivering exceptional power and a speedy response. This hull and motor combination is electrifyingly good, with the power delivery smooth and instantaneous. The 545 fairly leaps out of the hole when given a nudge, and has great bite and holds through fierce turns. There is minimal cavitation coming off the tight stuff and in a following sea, no tendency to yaw. Coming back up the harbour against the wind tested the Haines thoroughly. At nearly 44kts, this boat can really move, but it was coming home into the steep, short chop – three-up with minimal hull slap – that the true strength of its design became apparent. We were able to converse normally, the Yamaha outboard purring quietly at 3300rpm, doing 13.5kts at a burn rate of 12lt/h, with 100lt of fuel aboard, while we sat back, taking in the view while comfortable and dry. I was surprised at the lack of spray coming across the screen at any point of the compass, and even more surprised later, when I got into a rival manufacturer’s boat to take some photos. That boat – known for a dry ride – had salt-drenched windows within seconds, whereas the Haines arrived back at the dock with almost clean screens. Inside the cockpit, some excellent touches became clear. A lidded bin set into the floor beside the hydraulic pedestal helm seat is useful, and has drainage to the rear bilge, or by adding a bung, this will holding ice and slurry for fish. 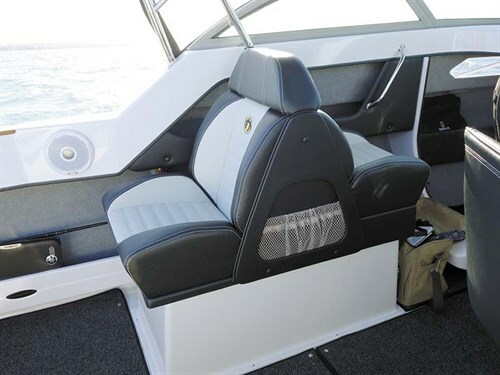 In the test boat, a back-to-back passenger seat housed an insulated chilly-bin – useful for the days catch, or for keeping snacks and beers cold. 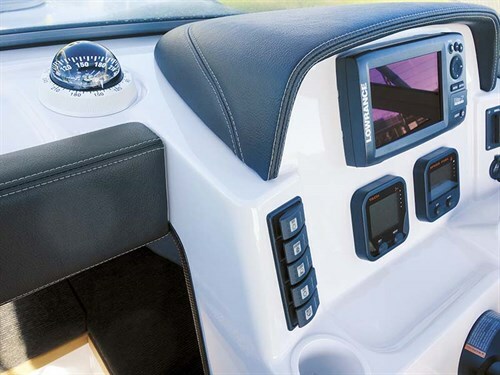 Were I configuring a full-on fishing boat, I’d swap this for another pedestal seat or none at all, leaving a much larger cockpit area for the stowage of gear – but that’s just my preference. In the lined cabin are two small hatches up forward, leading into either side of the capstan locker. This is a clever use of an under-utilised space – dry storage for lures springs to mind. The cabin has infill seating and good squabs so it’s certainly possible for one adult to nap in there or a couple of kids. The bimini top was a little low in places for my 183cm height and the rocket launcher attachment points hung below the rod holders. Medium to tall members of the crew would be nervous of these – a good whack could wreck your whole day. 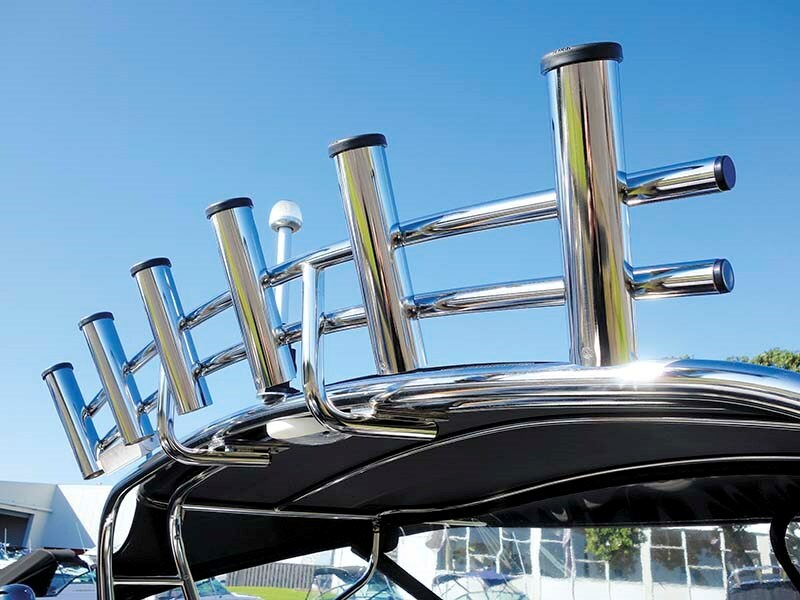 An obvious solution would be to mount the rod holders on the top of the rail; so if you are taller, consider asking about this. The helm position is also a trifle tight while standing. The clears seem very close, but on a fine day, these may be removed of course. The two rear seats are also removable, giving rise to a couple of snug corners for fishos, or these bays could hold dive tanks. Back in the yard, I examined another 545 optioned with a sturdy baitboard fitted above the transom which is quick to demount and can be swapped for a single skipole to tow toys. 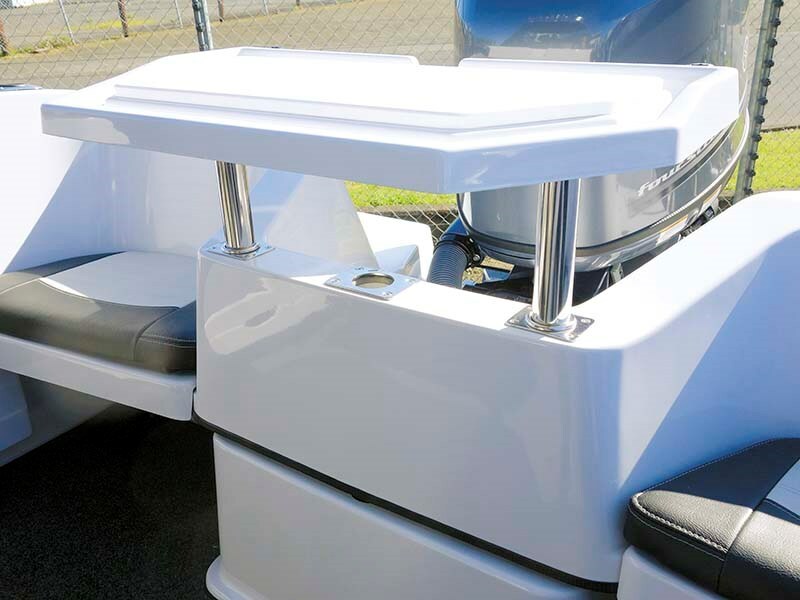 Side pockets are well placed with horizontal rod holders mounted on felt carpeting and the bimini top is hinged to lie flat when storing the boat in a low garage or dry storage. Electronics supplied as standard were a Lowrance Elite 7 chart plotter, Uniden VHF and FUSION stereo. The 545 Sport Fisherman is a cleverly targeted addition to the Haines Hunter lineup. 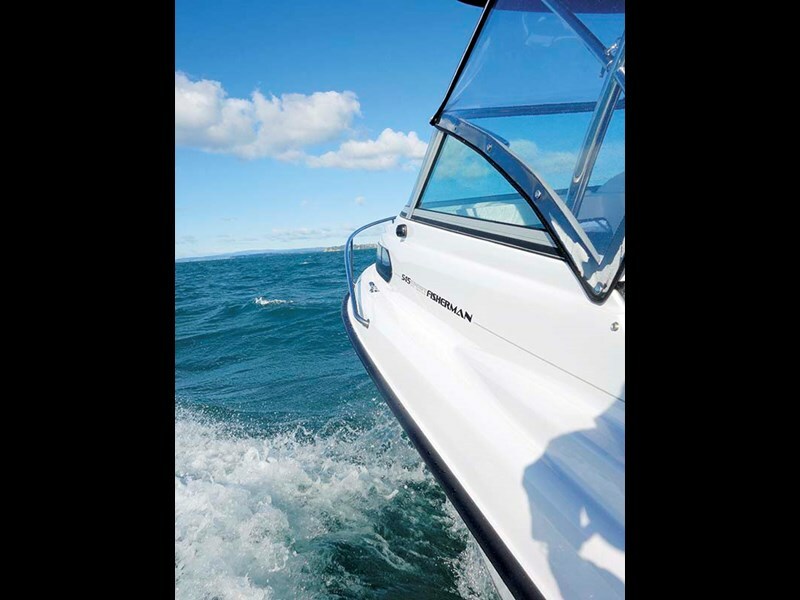 One of the greatest attributes for a boat of these dimensions is ease of launch and retrieval. The 545 is going to get a lot more use than most because of its ease of use, single axle trailer, and by being large enough to tackle a bit of weather and sea, with ample cover should the weather turn. 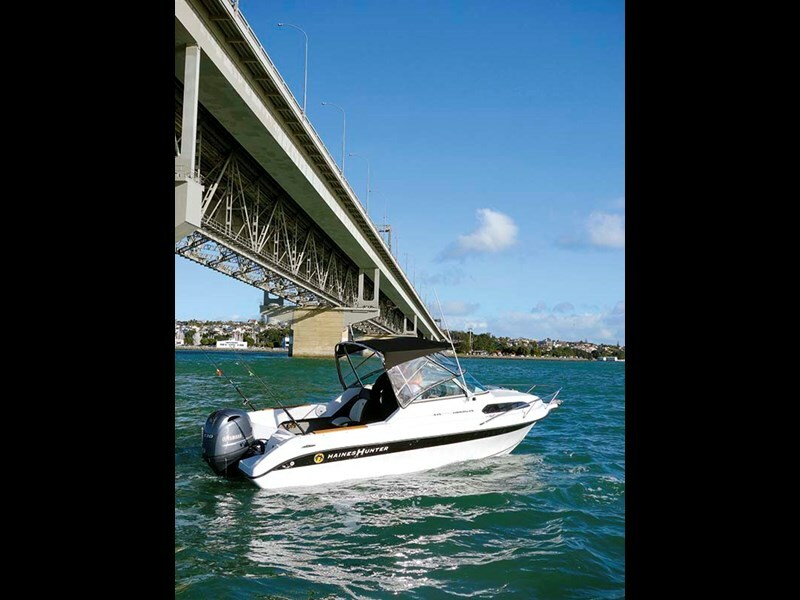 For an inner city Aucklander like me, with storage space at a premium, but with a desire for an excellent family, fishing and fun package, this size and combo is absolutely a winner. See the full version of this review in Trade-A-Boat #256, August / September 2016. Why not subscribe today?